Moving you out of my brain. Illusions, for me it was the same. 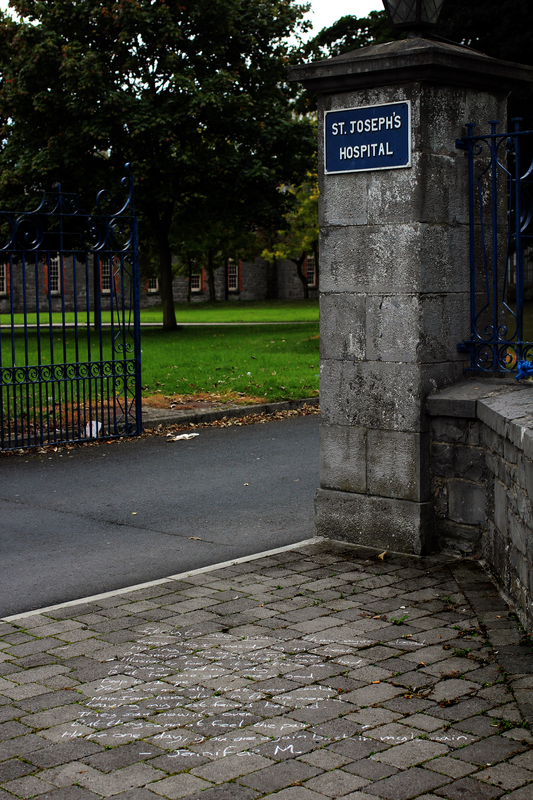 I know you had no body. But for me you were so good. You gave me all that you could. Leaving my best friend behind. They say now it’s over. But they cannot feel the pain. Hope one day, you are again back in my brain. 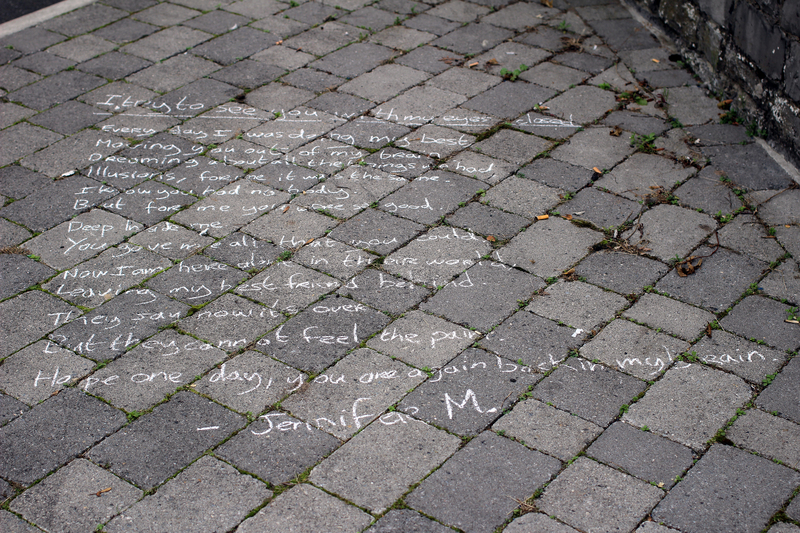 This entry was posted in Uncategorized and tagged Chalk, Jennifer M., Limerick, Mulgrave Street, poetry, Socially Engaged Art, St. Joseph's Hospital, street. Bookmark the permalink.